Why, yes, I do have the next installment of The Cleveland Gordian Knot in my drafts awaiting citations, but I’m currently on the road with my family. This week, we’re in Missouri. I took my Husband and my Tiny Guy (neither of whom have ever been to Missouri before) out to a little cemetery in Collins to see the graves of their ancestors, Jonathan D. and Arrena Matthews Browning. Neither my husband nor my small Boy have any close family in Missouri anymore, but my sister moved out here last year, about an hour away from J.D. and Arrena’s final resting place. Talk about genealogical fate, right? (Go figure, Arrena Matthews Browning plays a role in the post I have planned for #52Ancestors, “The Old Homestead,” but as with all things non-vacation, it’ll just have to wait a bit). We’re off to St. Louis and Chicago next! Most people don’t even know one great-grandmother growing up, but I knew three of mine. My great-grandmothers died in 1973, 1997, 2003, and 2008. I was born in the 1980s, so the three great-grandmothers who were alive when I was born were more than just foggy memories from toddler-hood to me, they were women I knew. I was in my twenties when my mother’s mother’s mother passed away a few months shy of her ninetieth birthday. The one great-grandmother I never knew at all was my maternal grandfather’s mother, Rosa May (Callaway) Lyons, the only one who died before I was born. I never even saw a picture of her (that I knew of) until I was about thirteen. I was staying with my grandparents for a summer visit, and Granddaddy–who worked as a printer and graphic designer for most of his life–had gotten himself a brand new scanner. He was touching up old photos when I walked into the den. James Morgan Lyons and Rosa May (Callaway) Lyons, circa 1940s; digital image, January 2012, privately held. My mother remembers Rosa May, but only just, since mom was about eight years old when her Grandmama died. When I’ve asked my mom, or my uncles, or other family members about Rosa May–well, no one ever wants to speak ill of the dead, but the general consensus is that she had some…rough edges. Maybe those edges started roughening up when Rosa May was ten years old. That’s when her mother died. Details of Mrs. L.J. Callaway’s funeral, Macon (GA) paper unknown, circa 12 October 1913, newspaper clipping remnant privately held by M. Crymes. “Two Funerals Held From Same House,” Macon (GA) newspaper unknown, circa 14 October 1913, newspaper clipping, privately held by M. Crymes. By the time they came down to me, these clippings were over one hundred years old. The clipping on the left is fractional, but the list of surviving siblings is intact. Of particular importance to today’s story is Mrs. J.W. Best, aka Jessie Knight, sister of Willie and Eva. Find A Grave, database and images (https://www.findagrave.com/memorial/85962482/willie-elizabeth-callaway : accessed 1 March 2018), memorial page for Willie Elizabeth (Knight) Callaway (1875-1913), Memorial no. 85962482, created by Margaret C., citing Cedar Ridge Cemetery, Macon, Bibb County, Georgia; accompanying photographs by Dennis “Popeye” Roland. Find A Grave, database and images (https://www.findagrave.com/memorial/89503258/eva-mae-liles : accessed 1 March 2018), memorial page for Eva May (Knight) Liles (1885-1913), Memorial no. 89503258, created by Eileen Babb McAdams, managed by Glenda Smith. citing Cedar Ridge Cemetery, Macon, Bibb County, Georgia; accompanying photographs by Dennis “Popeye” Roland. And so, over one hundred years after their tragic, almost simultaneous deaths, Willie and Eva’s final resting places will speak their names for as long as the stones remain un-weathered and unbroken–all thanks to Glenda, the grand niece who never knew them, and to Dennis, who who watches over Cedar Ridge Cemetery. 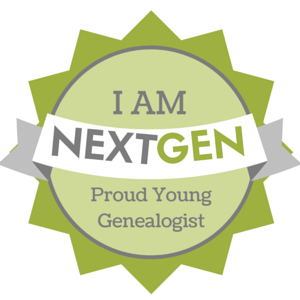 Margaret Crymes is a lifelong family history nerd and puzzle enthusiast in the middle of a transition from semi-pro to professional genealogist. She holds a Certificate in Genealogical Research from Boston University (OL24) and is currently studying with the National Institute of Genealogical Studies and as a member of ProGen 37.